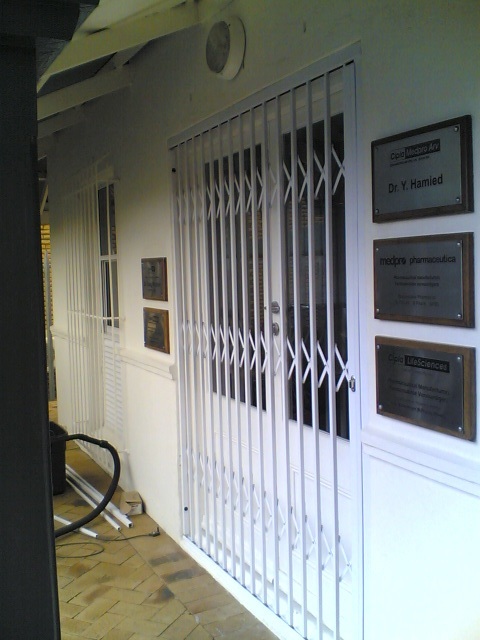 We are an expandable security barrier manufacturer specialising in all sectors of the market from residential to business, providing burglar proofing solutions with our range of products. Our manufacturing plant is based in the Western Cape and we have our own marketing team, although we also make use of distributors. 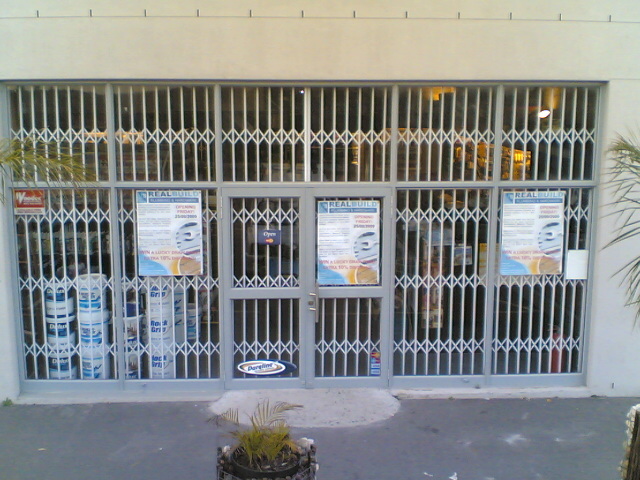 We are currently expanding our distribution network and the opportunity exist for distributors throughout South Africa. 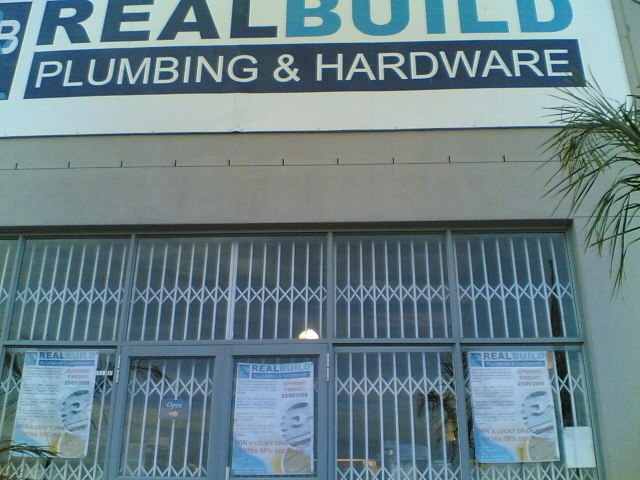 We are well experienced with over 20 years knowledge in this industry. Quality, Service and After Sales Service is what we stand for. 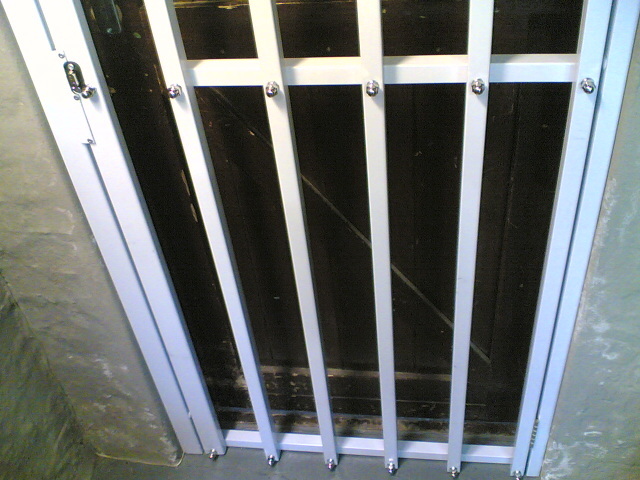 Expandable/Retractable Trellis Gates are manufactured with galvanised steel and the cross braces are stainless steel, with stainless steel guide plates for extra strength. The gates hang from a Top Track on steel sealed roller bearings and is guided in a Bottom Track with zink moulded Foot pieces. 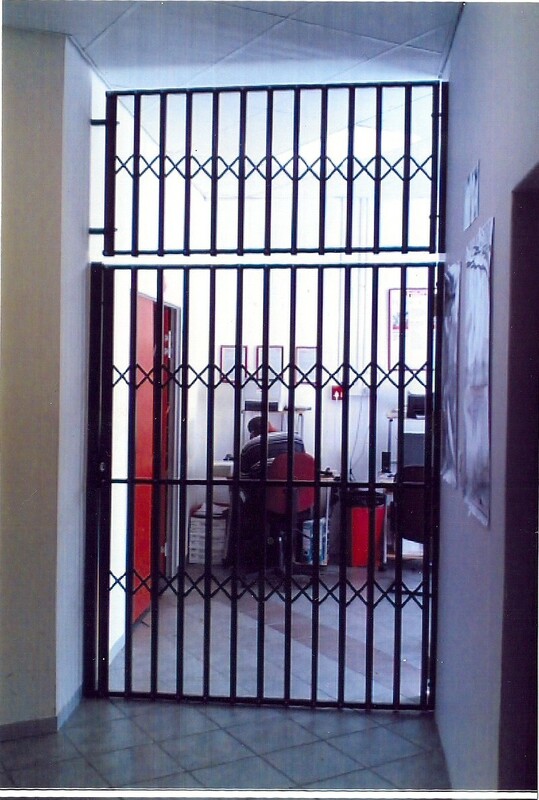 The gates are powder epoxy coated in a colour of choice and come standard with a slam lock. 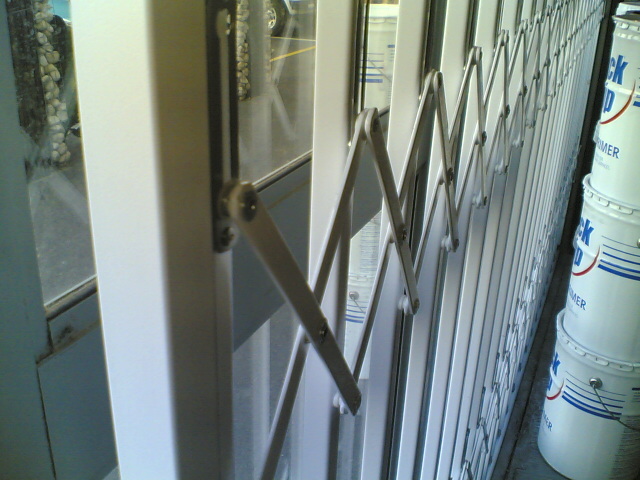 We manufacture to the actual size of the opening of any Patio/Sliding Door, Fold-up Door, Normal Door or Passage Way. 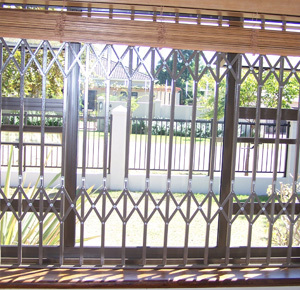 These Burglar Bars are manufactured with galvanised steel and the cross braces are stainless steel for extra strength. 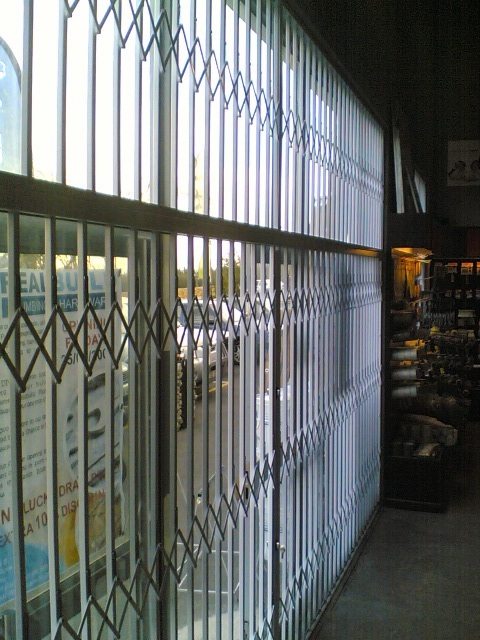 The Burglar Bars fit into U-Channels all around and powder epoxy coated in a colour of choice. 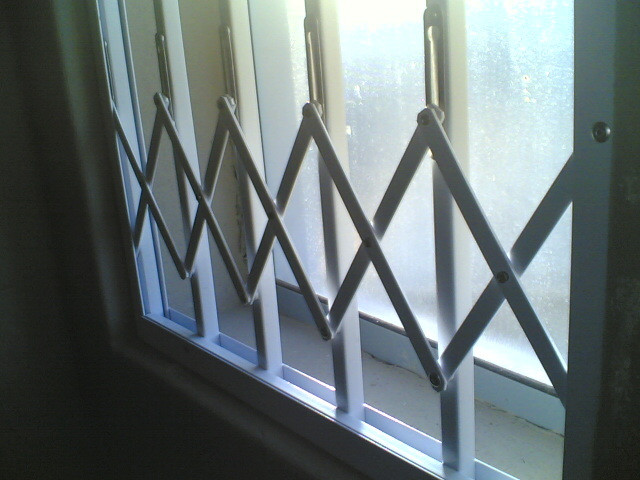 These Burglar Bars can also be manufactured without the cross braces and installed with the bars running either vertically or horizontally. 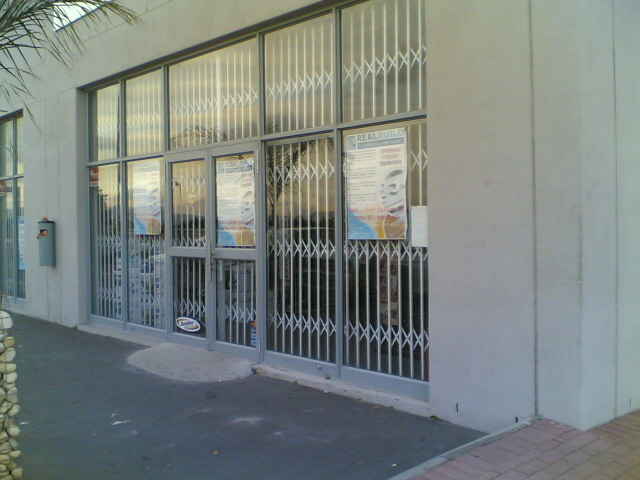 We manufacture to the actual size of Windows or any opening that need to be secured. 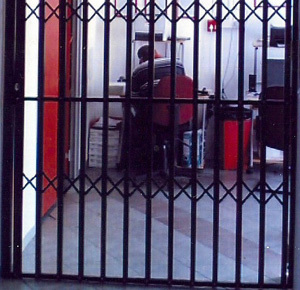 Swing Gates are welded gates manufactured with mild steel and hot dipped galvanised. 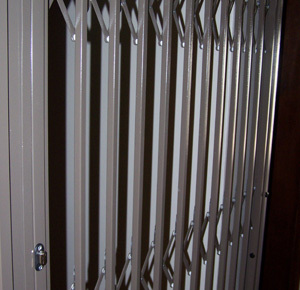 The Swing Gates are powder epoxy coated in a colour of choice and come standard with a double pin lock that can easily be locked without a key. 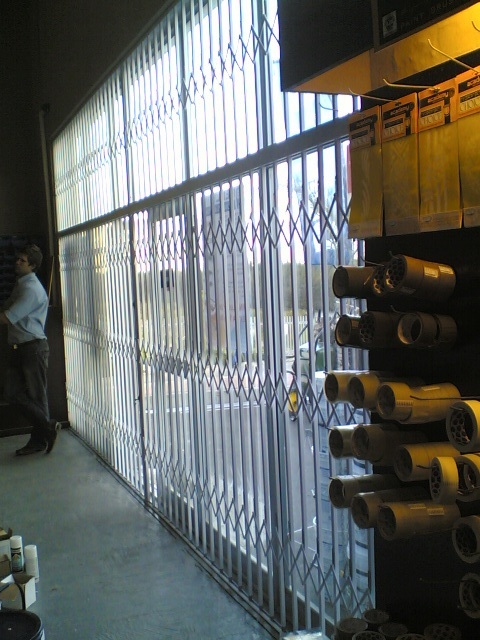 We manufacture to the actual size of the openings of mainly Front and Back Doors.